It’s the time of year when handing out awards for things that have happened to people and organisations over the previous twelve months or so comes into vogue, and even though the football season somewhat inconveniently doesn’t pay too much attention to the machinations of the Gregorian calendar, we’re going to give it a go anyway. (For those of you that are interested in such things, my review of 2013 can be found here – it was written a couple of weeks ago, but I don’t think that an enormous amount has changed since then, apart from Manchester United starting to win matches) But anyway, I’m usually pretty uncomfortable in a tuxedo and tie, all the more so when I’m dressed like this in a room on my own with my cat staring at me as if I’m on the precipice of a nervous breakdown, so… on with the show! Team Of The Year: Leyton Orient – To build a winning team is one thing. To build a winning team on a shoestring budget is another. To transform a team that looked likely to struggle against relegation into challengers for promotion is a mighty achievement indeed. At the end of October last year, Leyton Orient FC was in twentieth place in League One, just one spot above the relegation places in that division, but just six defeats in the second half of last season lifted the team to seventh place in the table, just three points from a place in the play-offs, and that form has continued into this season as well. The Os started this season with eight league wins in a row and were not beaten in the league until the third week in October. At the time of writing, Orient remain in second place in the table, having taken a point from fellow promotion chasers – and, to put a little perspective on how much of a challenge they face, still beneficiaries of Premier League parachute payments – Wolverhampton Wanderers. Keeping Orient near the top of the table will remain a huge challenge for manager Russell Slade over the coming weeks, but there can be little question that 2013 turned out to be an unexpectedly enjoyable year for the supporters of a club that perpetually inhabits the shadows of its bigger rivals. Manager Of The Year: Steven Pressly (Coventry City) – There are challenges, and there are challenges. One can only imagine what the pre-match team talks before Warwickshire-Northamptonshire Sky Blues games must be like – “Now, lads, I know there’s no-one here to actually see this – no, Leon, I’m perfectly aware of Schroedinger’s cat and no, we’re not Schroedinger’s football club yet – but we have to keep winning for the own… hang on, let me rephrase that” – but the fact that he has managed to even managed to allow Coventry supporters the dream that his team could make the play-offs after having started the season with a ten point deduction whilst being, at the half-way point of the season, the top scorers in League One (only Manchester City in the Premier League have scored more goals in the top four divisions), is surely worthy of note. It is, we might reflect, one of the more poignant facts of the season that all of this is going on during a season when 80% or more of Coventry supporters are unable or unwilling to watch their team play at home. Goal Of The Year: Rene Steer (St Neots Town v Canvey Island, FA Cup, October 2013) – We’ve come to expect briliance from the best players in recent years, but it is also worth remembering that players further down football’s food chain are also capable of moments that can only make the humble viewer’s jaw drop to the floor. Rene Steer never quite made it as a professional player. Having started with the Arsenal youth team, he drifted down through the divisions with Gillingham, Oldham Athletic and Woking before settling with St Neots Town. With this goal against Canvey Island in an FA Cup Second Qualifying Rouend replay earlier this season, however, he has written himself a small chapter in the story of 2013/14. Steer is something like thirty-five to forty yards out when he swings a leg at this enticingly bouncing ball, and the shot flies through the air like a Babe Ruth home run, smacking down from the underside of the cross-bar to disbelieving cheers from the crowd. At the time of writing, it’s been seen more than half a milion times on YouTube, and deservedly so. Supporters Of The Year: Hull City AFC – There may be something counter-intuitive about selecting supporters of the year. After all, we all just get on with the job of supporting our team, most of the time. The supporters of Hull City, however, have been faced with a most unexpected challenge this year in the form of owner Assem Allam’s attempts to rebrand the club as “Hull Tigers.” The City Til We Die campaign launched by supporters of the club has been highly successful in raising the profile of what is happening to their club, and has been intelligently and thoughtfully paced, demonstrating that football supporters are far from the sort of mob that we remain frequently painted as being. Allam may well get his way – although it is notable that the FA have at least made a public statement on the matter, which is more than can be said on the subject of the rebranding of Cardiff City or the desecration of Coventry City – but if he does, at least Tigers supporters will be able to say that they gave it everything they could to prevent it from happening. 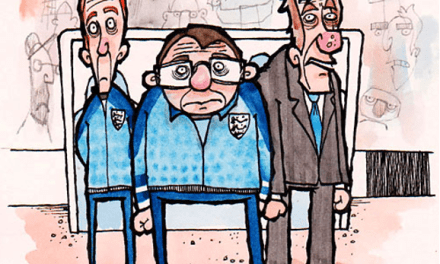 Website Of The Year: The Two Unfortunates – Over the course of the last twelve months, there have been times during which 200% hasn’t exactly been feeling football, that much, and at such points continuing to produce material can be difficult. It is with this partly in mind that we can only commend The Two Unfortunates, a site that never seems to quite get the recognition that it deserves, for its breadth of high quality writers, thought-provoking articles, and having created a distinctive style which offers a completely fresh perspective on the Football League which is completely distinctive to anything that either the mainstream media or the blogosphere can offer. This is a website that has really grown wings over the last twelve months, and it is to be hoped that this can be further built upon next year. Twitterist Of The Year: Daniel Harris – Of course, people use Twitter for a variety of different reasons, from the good, through the bad, and on to the ugly, and there are many niches on the social medium that can scratch just about any itch for the insatiable football supporter. There are few Twitter users, however, from whom every link provided is a must-click and from whom every tweet is a must-read, but the Guardian’s Daniel Harris is one such person. He leans towards Manchester United in his day-by-day tweetings, but don’t – if such a thing might – let that put you off following him. There’s general comment about football, cricket and – as with all the best Twitter accounts – whatever takes his fancy also going on here, as well as a healthy argumentative streak that won’t allow you off the hook if you say something stupid in his vicinity. Highly, highly recommended. 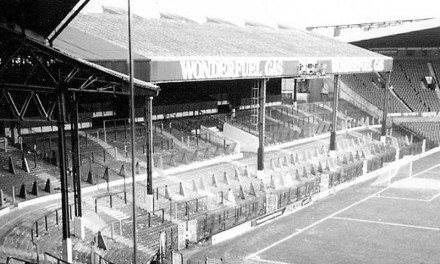 (Honourable mentions here for Vince Taylor (because there’s no such thing as too many old photographs of football ground), Chris Taylor (whose trolling of the terminally moronic borders on artistic) and our very own Pete Brooksbank. All-In-One Lunatic Football Club Owner Of The Year: Vincent Tan (Cardiff City) – Just as there is every year, there were several stand-outs in this category, but the owners of Coventry City are too calculating to be considered unhinged – however dreadful they may be in many respects – and, in spite of everything, you can’t help but feel that Assem Allam might just see sense over his Hull Tigers abomination. Vincent Tan, however, stands alone as having made his football club a global laughing stock, in spite of having overseen arguably its most successful period on the pitch in living memory. It started with changing the club’s colours and badge, but has become something quite other since then, whether we think of the attempts at interference in team affairs, the sacking of the club’s head of recruitment and his replacement with a friend of his son’s or the ham-fisted sacking of manager Malky Mackay. Where, we might well wonder, will it all end? “Tan paints eleven owls red and sends them out to play against Norwich City in relegation six-pointer”? “Cardiff City to move to floating island in the sky and be renamed ‘Laputa Redbirds'”? Watch this space. And on that note, it’s time to say a hearty goodbye and good riddance to 2013. See you all next year! If you’re going to moonlight on other sites you could at least post links on here! Thanks Ian and co; genuinely touched by that and I’m sure that Rob will be too (he’s been away on holiday…). Happy 2014! Ｐｏｍｐｅｙ　ｆａｎｓ　ｎｏｔ　ｆａｎｓ　ｏｆ　ｔｈｅ　ｙｅａｒ？　We beat off Chanrai and co and put in 2.6 million pounds in shares (donations) to save PFC last April….